NECKLACE - SARAH COVENTRY. 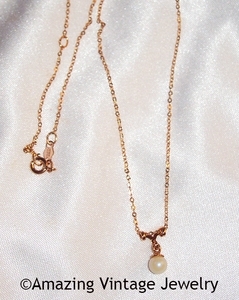 "CULTURA PEARL" FROM THE 1975 LADY COVENTRY LINE. 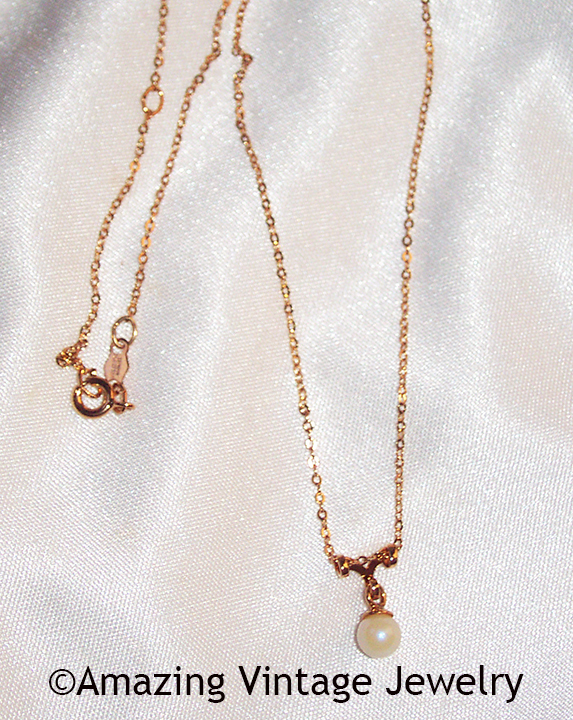 CULTURED PEARL PENDANT ON A 12K GOLD FILLED CHAIN. PENDANT IS 9/16" LONG. ADJUSTABLE TO 16" AND 18" LONG. EXCELLENT CONDITION IN THE ORIGINAL BOX ON THE ORIGINAL CARD.